Today I'm guest posting over at Young Grasshopper. If you haven't already met Heidi, you'll quickly learn that she has a wicked sense of humor, juggles a challenging career, a husband and three kids while cooking, blogging and mixing up the cocktails. She has a particular fondness for gin and gave me the great honor of asking me to contribute a recipe for her "Gin-sanity" series. Well, how could I possibly say no to that? 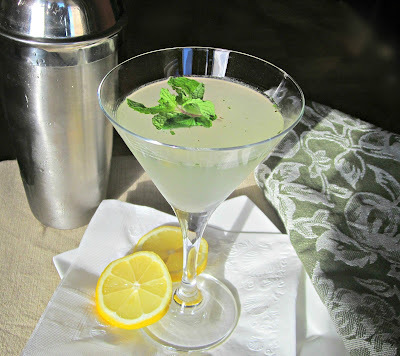 This simple cocktail is a refreshing warm weather drink with fresh lemon and lots of cool mint. So head on over to Heidi's blog to see my guest post and while you're there, check out all her other great drinks and yummy food! Add all the ingredients to a cocktail shaker and muddle the mint with a muddler or the back of a wooden spoon. Add ice cubes and shake well. Pour into a chilled martini glass and garnish with a sprig of mint and/or a wedge of lemon. To make the Southside Fizz version of this drink, simply top it off with 3 to 4 oz. of club soda. Gin-sanity? I love it! I don't drink a lot of gin, but this looks like the type of cocktail I'd enjoy--tart and just the right amount of sweet. Love it! Sometimes the simple concoctions are the best. This cocktail sounds simple and tasty. I love visiting your site. You always have the most creative cocktails. Thanks for sharing. I will totally trade you a cupcake for some booze. 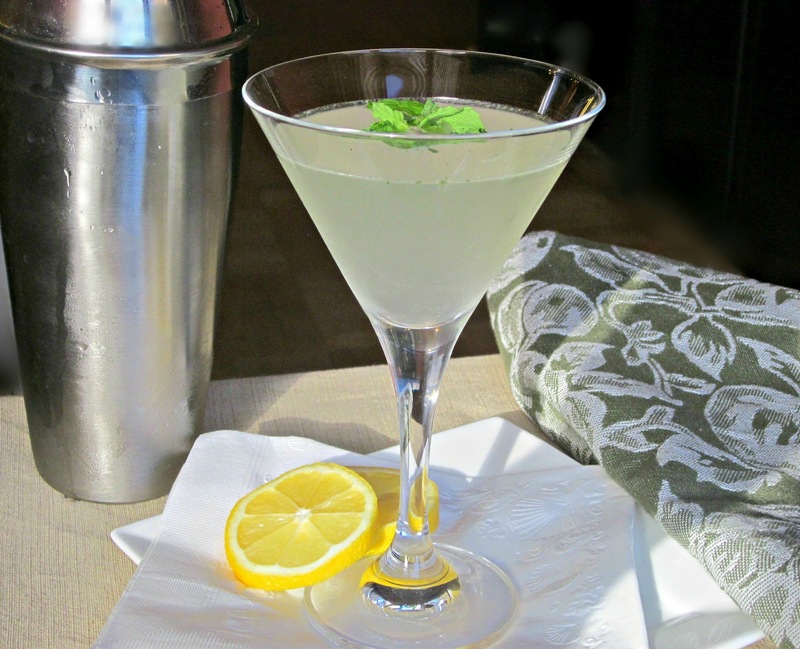 Thanks Again Anita for the Guest Post on Ginsanity! I cannot wait to try the Southside Cocktail.... is it 5 o'clock yet? A tarty gin drink sounds like it would hit the spot. Also a great way to ring in the weekend. Cool that you and Heidi hooked up as well. Enjoy the weekend! I could use one of these now! I'm on my way...thanks for sharing. I hope you have a wonderful weekend, my friend. Lovely and a great idea for the weekend :)Hope you have a good one!! Lovely! Perfect for our sunny seattle weekend!! i'm with Jen...i'll trade you any of my baked goods this week for this cocktail. What a perfect little drink. Delicious cocktail! Looks so refreshing! Anita, CONGRATS on your Top 9!!!! Mmmm this is one of my favorite cocktails!! It really is perfect for this time of year, I can't wait to make it soon! Ooo yum! 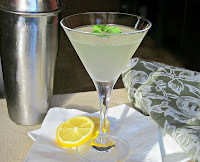 I'm having a dinner party this weekend and I've been searching like crazy for a good cocktail! The best I usually come up with is rum and coke.... not very classy for a dinner party :) This looks perfect! Hi Anita-I remember seeing this lovely cocktail on the top 9, on Sunday! Perfect for party! Simple and easy to prepare.